A mysterious man at the door brought me a small package with a mysterious book inside. The book cover had this title title 護國聖獸傳記 (Holy Beasts Protectors of the Country Summon Hagiography or The Guardian Monsters) with the byline 伊佐山嘉利 (Hirotoshi Isayama). I saw this book last year during a Google image search and thought it would impossible to acquire until last week. It’s so cool! And it was so reasonable from Mandarake.co.jp. This book from ゴジラ・モスラ・キングギドラ 大怪獣総攻撃 (Godzilla, Mothra and King Ghidorah: Giant Monsters All-Out Attack, aka GMK, Godzilla 2001). You’ve seen it; you remember it from the opening act of GMK. 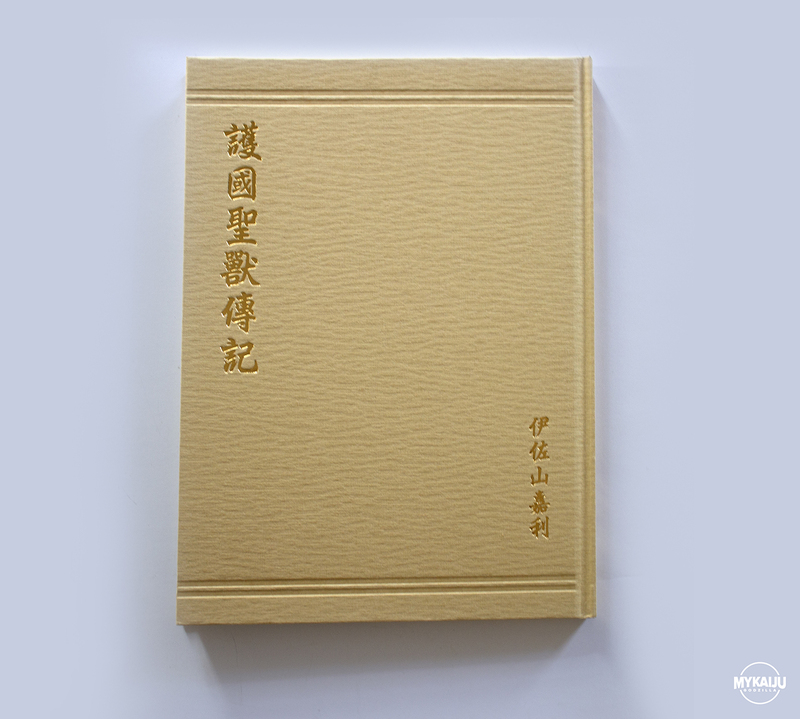 Teruaki Takeda gives the book to Tachibana Yuri to support her theory that a monster may have been the cause of the mysterious Myoko earthquake. The book is just like the one in the movie without the aging. 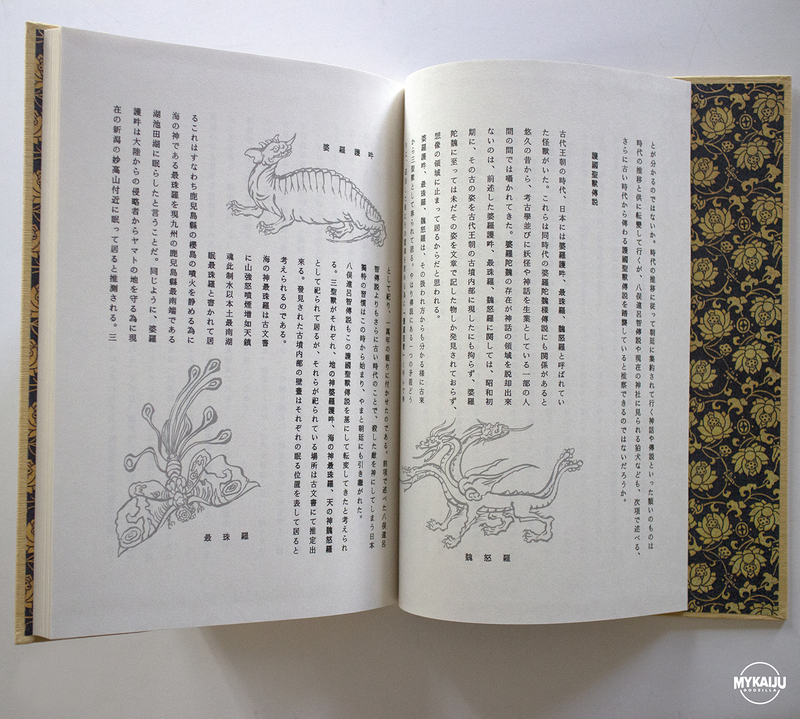 Inside the pages are blank except for only an opening page followed by three pages, two with the text and illustrations of Baragon, Mothra and King Ghidorah. The title page is missing also. It’s a great find and will make for a wonderful conversation piece as it takes a place among my most cherished Godzilla books.